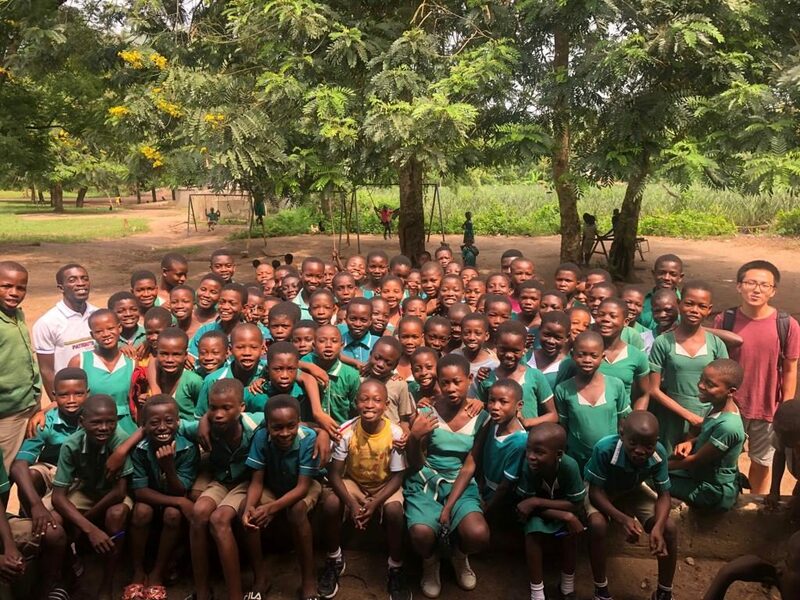 On 2.20.19, Anna, Emmanuel and Harry from Patriots Ghana went to the Akkuful Krodua R/C basic school for an interactive talk session about the importance of saving money to primary school students. 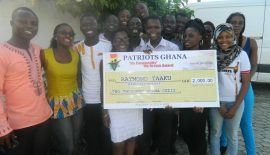 This forms part of the Patriots Ghana Microfinance project with the goal of empowering youth with financial literacy skills. 86 students participated in the talk. 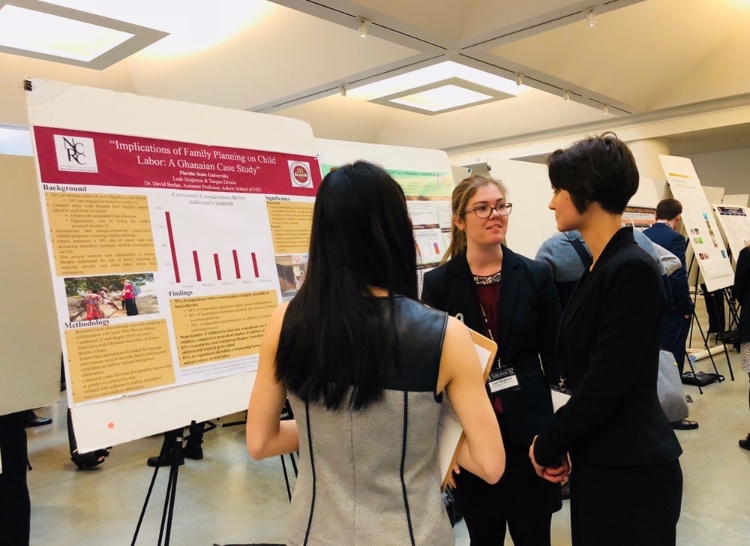 Before the talk started, there was a pre-test to gauge how much the students had previously known about what savings is, how important it is, how one can save, and so on. Immediately after the savings talk was completed, the same exact test was given as a post-test. Using the pre-test and the post-test, we can analyze the effectiveness of the talk. 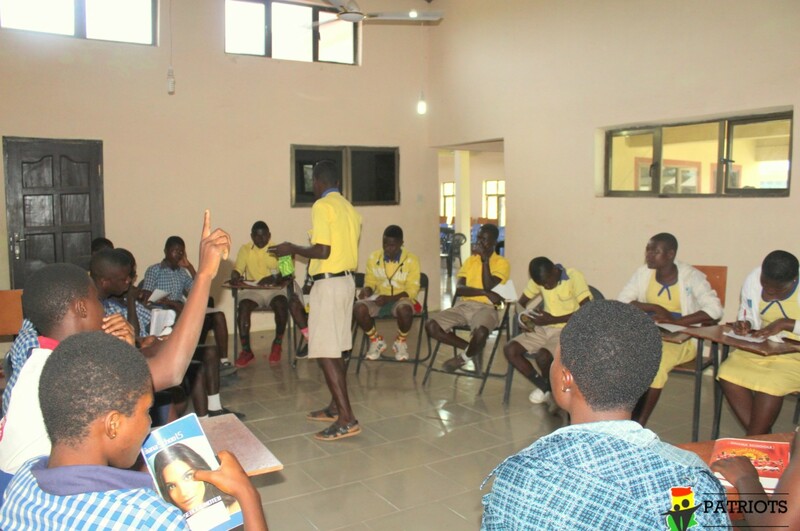 After the pre-test was complete, Emmanuel led a savings presentation using a projector in the class. Windows and doors were shut so the projections can be seen more clearly and brightly. Some of the contents covered in the presentation were needs vs. wants, what savings is, why it important to save money, and how one can save money. Discipline was also stressed. An example given by Emmanuel was about ice-cream. You can choose to spend 1 cedi on ice cream every day, or instead save the money. If you had saved 1 cedi every day for a year, you’d have 365 cedi. Although 1 cedi in itself isn’t a lot, when you practice discipline for long duration, your savings will accumulate. Many students live far away from school. They could use their savings to purchase a bike, so they can get to school early, added Emmanuel. Throughout the talk, participation was encouraged. While students were quieter in the beginning, many more warmed up to us and became more active participants in the discussion as the talk progressed. After the presentation, a short video about a playful, short-sighted grasshopper and hard-working, disciplined ants were shown. When the winter came, the ants had enough food saved up while the grasshopped went hungry. Harry led a discussion on the video, and how it relates to savings. Anna helped with collecting and distributing the tests, and took photos. 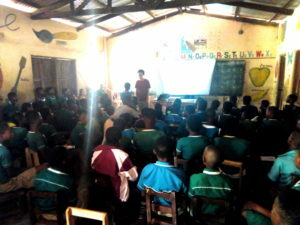 A week before Emmanuel and Harry went to different schools at or near the community to introduce the organization, its mission, and say that its interested in giving talks about savings to students later on. 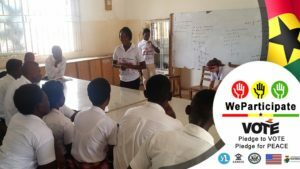 The representatives of each school were eager to partner with us, and we hope to give the same talk to more schools and raise awareness about savings. 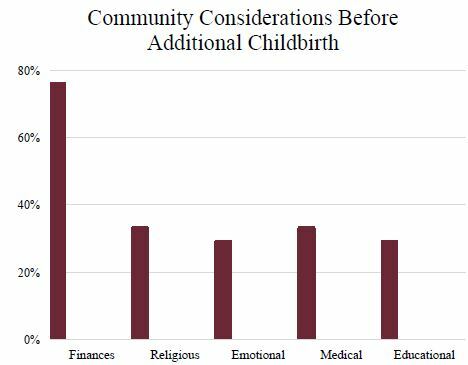 We will be analyzing the data from the tests and using the report to restructure our talks and microfinance project. 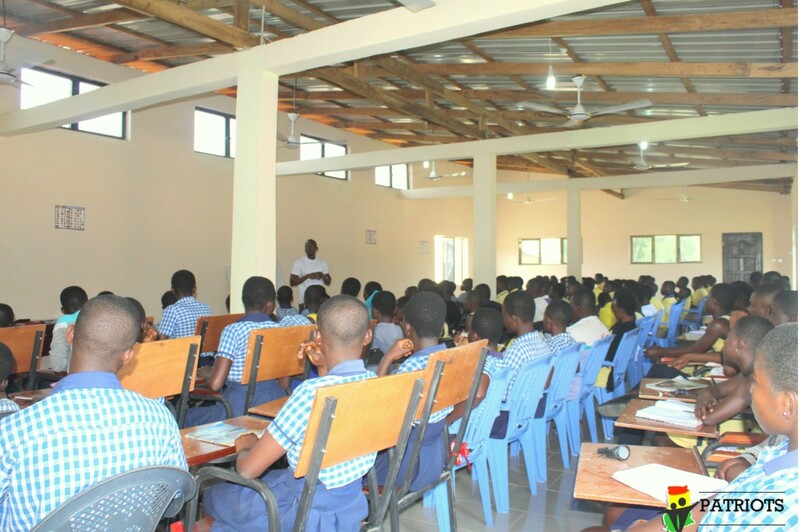 We appreciate the headteacher, Mr. Kenneth Aurthur and management of Akufful Krodua R/C school for the support. 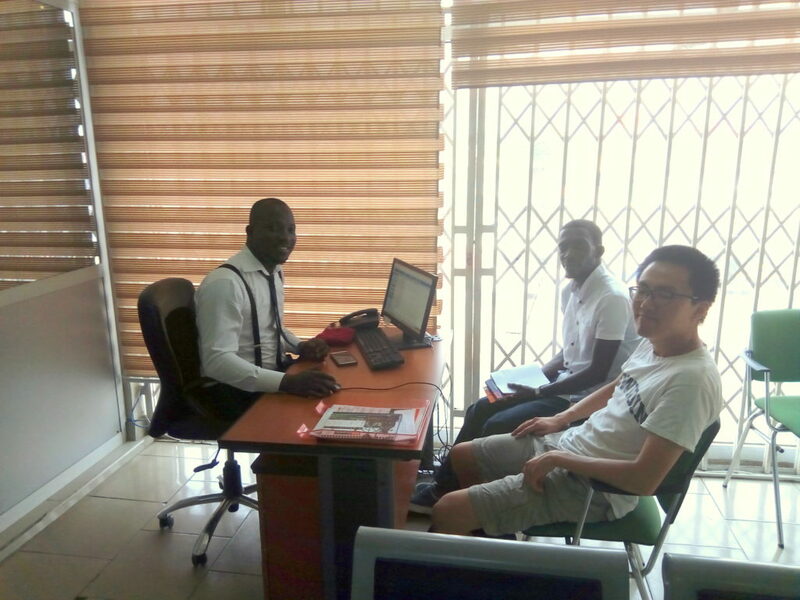 Emmanuel Yamoah (National Projects Manager) and Harry Jung (intern, Bowdoin University) from Patriots Ghana went visited SRF Microcredit for a brief meeting. The purpose of the meeting was to discuss with Justice Arthur (Head of Marketing and programs manager of GAFI) how the institution goes about giving out loans, who are their clients and under what terms of agreement. 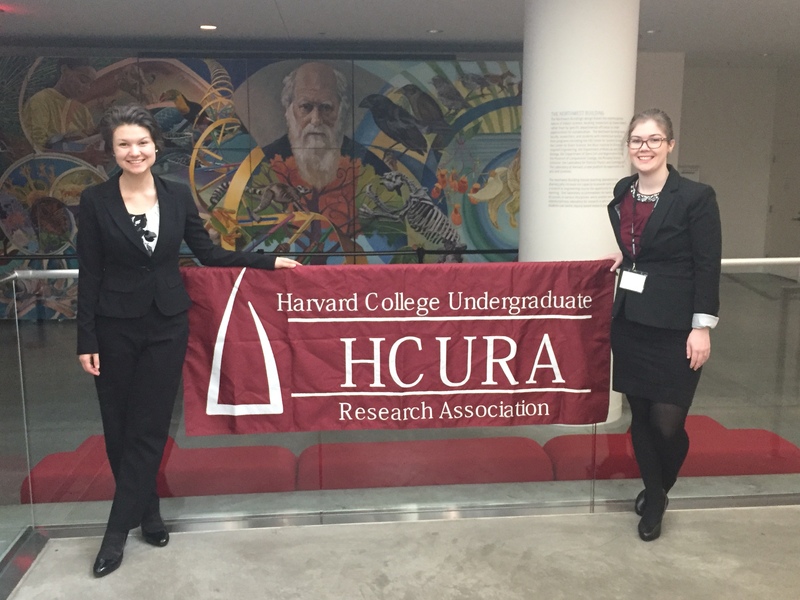 Although visiting a not-for-profit MFI would have given us more direct answers, visiting a for-profit institution offered an indirect and yet insightful new perspective. Many interesting points were made by Justice. They include a fact that Ghanaian government regulates MFIs to operate in a single branch and focus on one area. As a for-profit MFI, Justice’s clients are salary workers, foreign students, and corporations—people or organizations whom are established and have credible financial backing. Apparently, it is a very profitable business; for a group of 6 full-time staff and a few interns, they serve more than 2,500 clients. With profit in mind, their interest rates are naturally higher than ours, which is a non-profit microfinance project. For example, Justice showed us as a typical balance sheet has interest rate at 8%, which applies to all outstanding loan balance monthly. We follow the same method, but ours is set at 4.5%. Something we don’t do—they charge upfront processing fee of 3.5% to cover for initial operational cost like drawing up paperwork, transportation, etc. They are very successful at getting their owed money back in time. This is due to multiple factors. For example, for salary workers, their income bank account is linked to their lender, so lender automatically takes out monthly dues from the income bank account. This can’t be done with our project since our clients are technology adverse and don’t have bank account. All their transaction is done by cash. Furthermore, collateral is used. For example, a student must turn in a phone worth 2500 cedi and keep it with the bank for the duration of the loan to access to a loan of half of the phone’s value of 1250 cedi. PG does not use collateral during the loan screening process since no collateral in our client’s procession can match the money loaned out. Lastly, Justice’s MFI charge daily penalties for each day due is late. The rate is 12.5%. We use group liability in a high social capital area in the hopes that the members will keep each other at check since if one is late on repayment, the other group members are liable to repay on the person’s behalf. Besides having clients who are educated and have stable income, the aforementioned ways ensure that for-profit like the one Justice works at minimizes arrears and defaults. 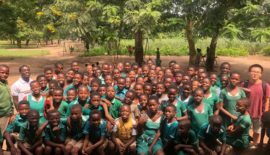 Our choice of what sort of clients to work with in our microfinance project, illiterate and some of the poorest women in Ghana, brings up multiple intertwined constraints. Though mission and mindset between a for-profit, like SRF and non-profits are fundamentally different, there are lessons we can take away from the successes of for-profit MFI. One is that strong enforcement like penalty on arrears do decrease arrears and the risk of defaults. 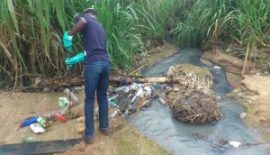 Finding creative solutions for achieving stronger enforcement, while not forgetting non-profit mission, tailored to the unique socioeconomic environment where we operate is a key step. Women Entrepreneurial and Leadership Development (WELD) program. Are you interested in investing in women empowerment with $15 or more? 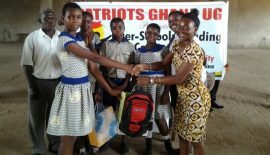 Patriots Ghana in collaboration with Cheerful Hearts Foundation is fundraising to expand our successful girl’s skills training program to the Senya fishing community. In 2014, Patriots in collaboration with the Cheerful Hearts Foundation launched a pilot women empowerment project in the fishing village of Nyanyano. This project, known as the fieldhouse project, consisted of building a small facility from which to launch girls vocational training. 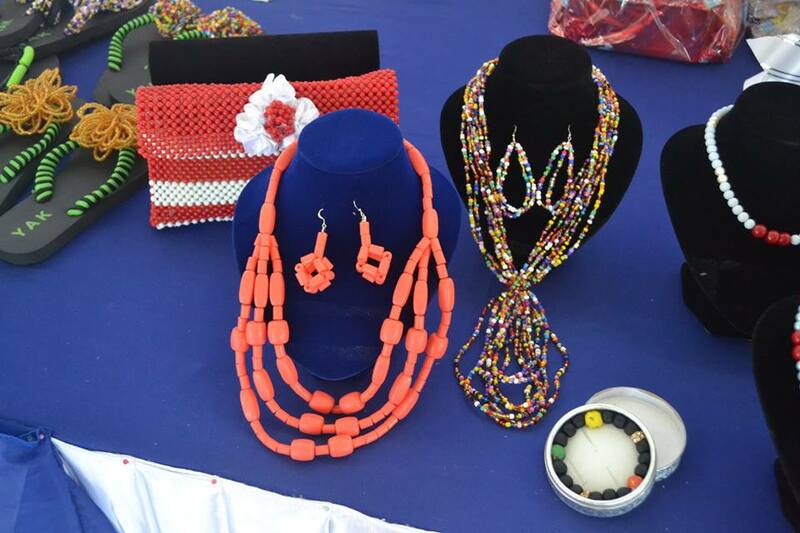 This project was a great success: the first class of 26 girls graduated proudly in bead making, sewing, creative art and Decoration with a breadth of life-changing entrepreneurial, leadership, and vocational knowledge. Now, Patriots is ready to expand this initiative into the Senya-Beraku fishing community. Similar to the conditions in Nyanyano, child labor is rampant in Senya-Beraku; unlike Nyanyano, child trafficking is also prevalent in Senya-Beraku. The expansion into Senya-Beraku is necessary and will equip girls with tools to provide for themselves financially through business as an alternative of child labor or trafficking. Please, would you consider to donate and share with 3 friends today? Any little donation counts! Many thanks! Click here to read more details on the donation page. Last Face to Face for September. 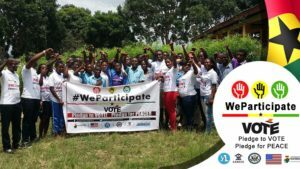 For the last Face to Face for the month,the #WeParticipate campaign was hosted at three schools in the Awutu Senya East District on Friday, 30th September. 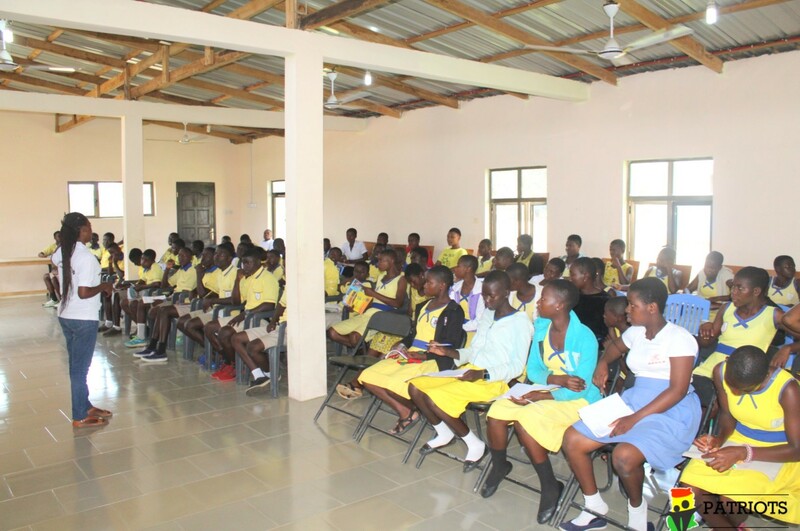 The schools were Atlantic Wesleyan College, Datus SHS and Africana SHS. 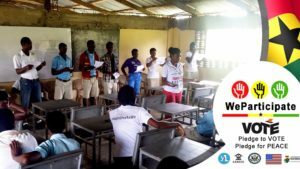 Similar to the other campaigns, the Campaign Ambassadors educated the students on the importance of voting and also standing for peace before during and after the elections in December. 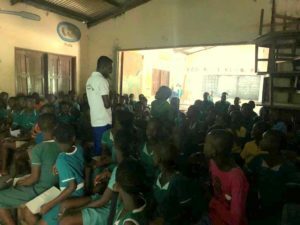 The introduction was done by Emmanuel Yamoah, to explain the purpose of the visit and introduce the project to the school. 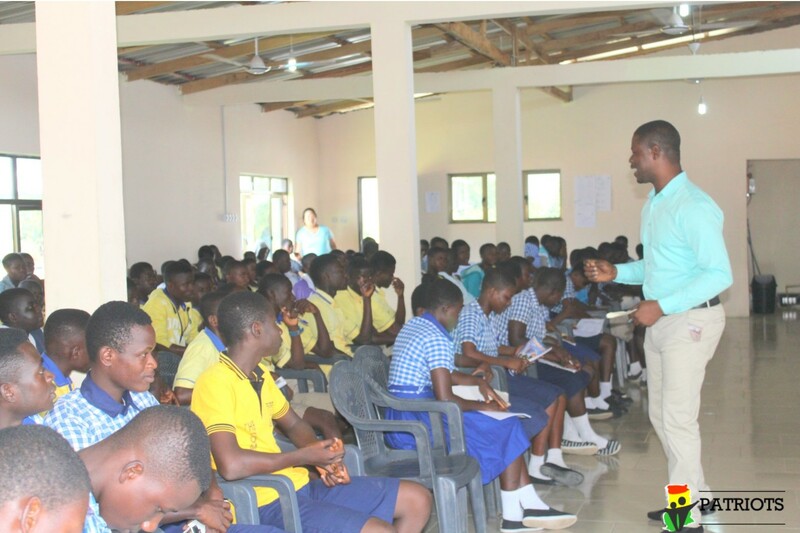 Afterwards, Oppong Nyantakyi engaged the students in an interactive session on the importance of voting. A good number of the students admitted that they would not be voting come December 7th due to various reasons. Some of reasons were the stressful nature of the electoral process, proximity of polling centres, indifference on the political party to vote for, among others. Some of the students did not vote, others voted just because the candidates were their friends, and others wanted to vote twice. The ambassadors used the scenario to explain to the students how it’s important for every eligible voter to vote as decisions of the elected leader affects all. Ambassadors also illustrated the importance of voting for candidates that are capable and obeying electoral rules. 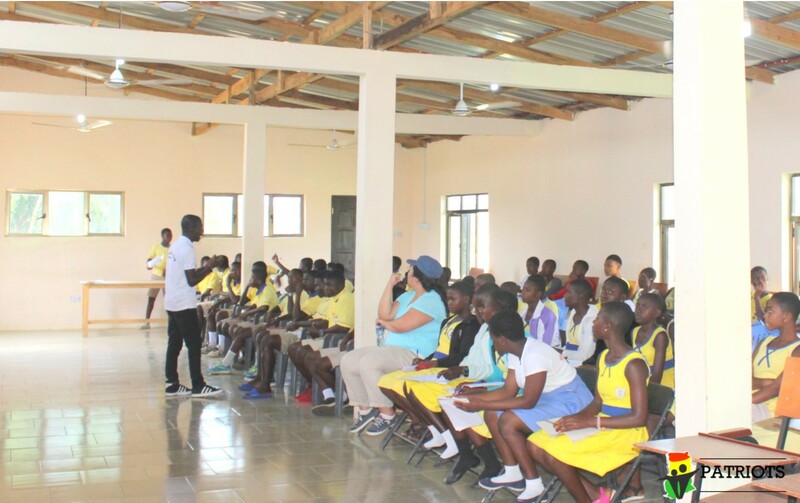 Raymond Taku afterwards spoke to the students about the importance of peace and ensuring that every Ghanaian enjoys the peace in the country and tolerate each other. 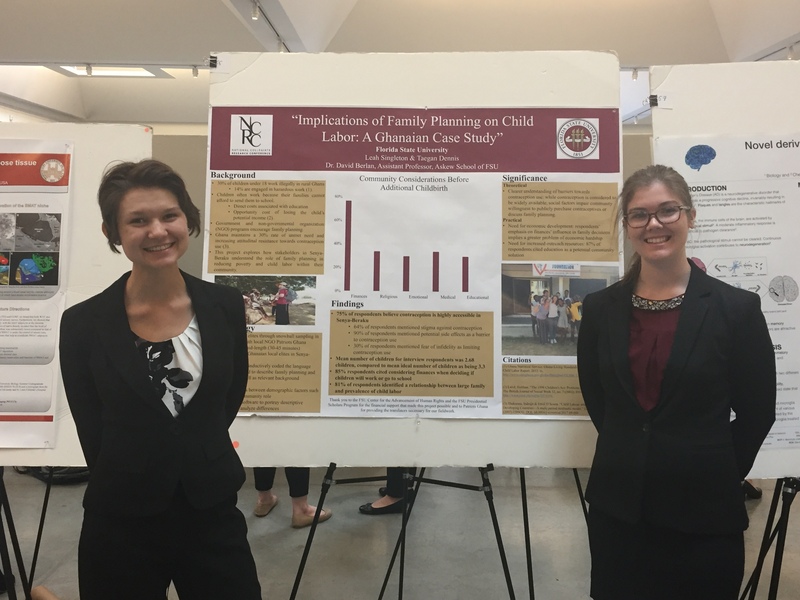 Two students volunteered to be ambassadors at Datus SHS, and two at Atlantic Wesleyan College. 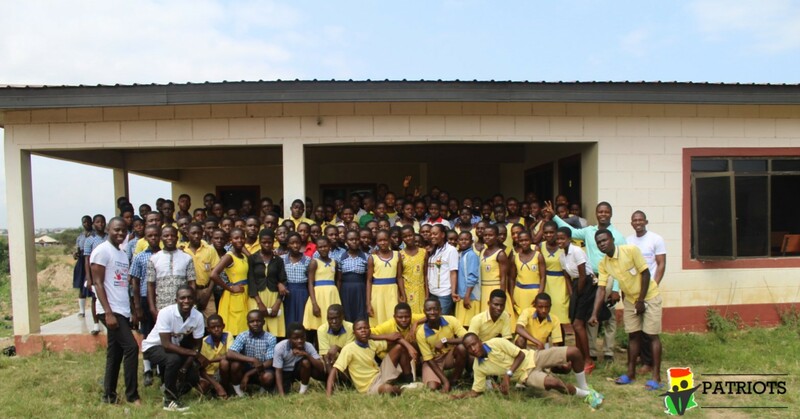 In all 27 students were reached at Atlantic Wesleyan College, 17 at Datus SHS and 12 students at SHS . Therefore, in total, we reached 56 youths this week. All the student ambassadors were also presented with a lacoste and introduced to their roles.